Leeds chairman Massimo Cellino will sell his majority stake in the club for £30m, according to Leeds Fans United chief executive Dylan Thwaites. Cellino announced on Friday that he was willing to agree a takeover with supporters and forgo any profit. "Massimo invited us to buy his majority stake and has agreed to sell to us at cost, at the money he has put into the club," Thwaites told BBC Radio Leeds. "If we look at Companies House there's certainly £30m or so of new equity." He added: "There might be other agreements and investments that will be found in due diligence and that is all auditable. "We'll be left with a figure that is a maximum amount we will be paying for Leeds United and that is not a negotiable figure, it is an audited one." 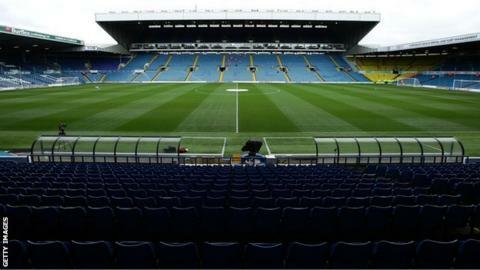 Leeds Fans United was set up in April with the aim of raising £10m to buy a minority stake in the club and secure representation on the board. Despite the requirement to now raise three times that amount, Thwaites is confident the group can proceed with the takeover. "There are four tiers," he said. "The first tier is the community benefit society and we had a big surge in people investing in that in the last three days. "The next tier is high-net-worth, wealthy Leeds fans investing into Leeds Fans United. These can be in sums of hundreds of thousands or millions. We've had an astonishing number of people come forward in the last few days to do this. "If we're still at a shortfall then we have a great debt scheme to bring debt to the club but that debt would be from Leeds fans. The debt payments would be interest-free and would be deferred until we got into the Premier League. "The final tier would be to go to institutional investors to make up the gap if we needed to." Leeds, who are 19th in the Championship, host Cardiff City on Tuesday.